Before we get to the myths, let’s get some ideas clear, shall we? 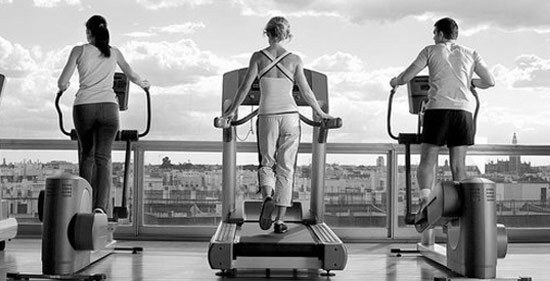 So, what is cardio? What does cardio do? ‘Cardio’ is short for cardiovascular exercise. Cardiovascular means relating to the heart and the different vessels that pump blood throughout the body. Cardiovascular exercise is any form of exercise that gets your heart to beat faster, at a rate higher than usual. You are also expected to sweat moderately during such exercises. Walking, cycling, swimming and aerobics are some types of cardio exercises we hear about. Generally, it does not fall under high-intensity exercises. The reason we hear so much about cardio and the importance of it is because cardio means exercise for the heart. And the logic here is quite simple. The heart is a muscle and it too needs exercise to perform better and longer. Cardio gets your heart beating fast, forcing cardiac muscles to grow stronger. People often look up for cardio workouts to lose weight fast. Cardio is mainly aimed at strengthening of heart muscles. It may or may not live up to the other expectations you have from it. To avoid disappointment later and to understand your cardio exercises better, keep reading. Myth #1: More cardio burns more calories. How long should you do cardio for? If you spend time setting calorie-burning goals before workouts, we say that the time could have been used better for instance, doing weight training for weight loss. There is also a matter of gross miscalculations about calories burnt. The fitness tracker, elliptical trainer or your fitness equipment are all machines. It knows nothing about your body’s unique metabolism, just a bunch of prediction formulas based on heart rate and steps taken that it’s been fitted with. The answers will be inaccurate and overstated more often than not. It’s better to not forget that your body is the best sensor. It understands and displays results of the workout better than any digital screen. Knowing that high-intensity workouts mean more calories burnt and for intensity on a scale of one to ten, pushing yourself till nine is enough to be burning calories through the day is all you’ll need. Myth #2: Cardio should be done on an empty stomach for better results. While there are plenty of articles out there warning you against the dangers of working out on an empty stomach, the concern about fasting before cardio is that the results are paradoxical. It is good as well as bad. It has been experimentally found that fasting before cardio is effective in increase fat-burning during the session since glycogen and blood insulin levels are low due to starving. It even results in a leaner look. But the bad news is once the sessions are over, so are the benefits. The “after-burn” through the day that piling up on carbs before the cardio session promises, this starved approach does not. It doesn’t even matter how hard you train during sessions, because the fat you’ll burn after sessions will be not much more than what you’ll burn on non-cardio days. Myth #3: Running helps in fat loss. Running is a great cardio exercise and training for races can do all kinds of good to your body. It can build stamina, stabilize breathing, improve cardiovascular ability. What someone running a race like a marathon requires is stamina and endurance over a lean physique and training for races does exactly that for you. To increase stamina, the body learns how to get more work done by expending fewer calories. Moreover training for races comes with a subsequent increase in appetite. 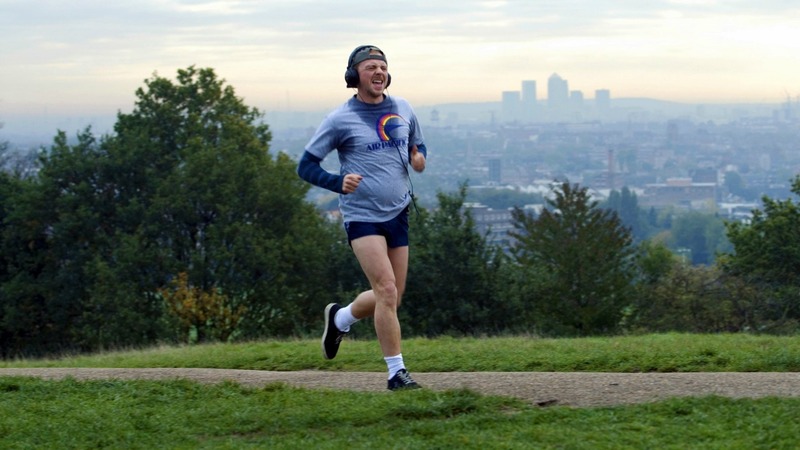 People training for races are known to even gain weight in certain cases. So what we mean to say is that the finish line isn’t exactly where you want to get to if weight loss is the goal in mind. Instead, alternate between 30 seconds of low-moderate intensity and high-extremely high intensity of the same cardio exercise 5-8 times continuously with gaps of 3-5 mins in between same patterns of different exercises to stay in shape doing cardio. Myth #4: All cardio and no strength training will not help you lose weight. This is as true as it gets. It is dull doing only a single form of exercise and the most optimal method for losing weight. So if you’re doing cardio to lose weight, make sure that that isn’t the only regime you’re keeping up. Strength or resistance training interspersed with cardio can only benefit you since, “Strength training builds lean muscle mass and increases your metabolism and decreases fat.” Greater number or volume of muscles can only mean greater number of occasions to burn calories which is always a good news for weight loss goals. Myth #5: Binge all you want while cardio is on, you’re still keeping that waistline. Now wouldn’t that be nice and easy? A neat little pill wrapped up in thick coats of your favourite calorie-loaded dessert. But fitness isn’t easy. Training isn’t either. Ergo, cardio or not, binging is a no. Like under any normal circumstances, the calories you take in will always seem on the lower side than the ones you lose doing cardio. Also keep in mind that most often this evaluation of yours will be wrong. Reality will almost always be the exact opposite. The only way to effectively lose weight while practicing cardio is by checking the number of calories you consume, preferably not much more than the number of calories you can burn during the day and your cardio sessions. Myth #6: The ‘fat-burning zone’. Does cardio burn fat? This is like the legend of the Bermuda triangle. A zone where ships and planes entering in, disappear without trace yet there is no verifiable proof that something specific and definable causes it. Our ‘fat-burning zone’ myth is quite something like that. Fat is said to disappear in the highest amount if you stay in this zone but no reasonable explanation can be offered for it. The ‘fat-burning zone’ is when you stay at 55-65% of your maximum heart rate that is maintained during low-intensity cardio workout for weight loss. There are reasons why this myth fuels hopes in so many rational fitness-enthusiasts. At the ‘fat-burning’ level of heart rate the ratio of fat to glycogen utilized is the highest at 60% : 40%. Any higher and the ratio of fat burned decreases. So it may seem a natural choice to want to remain in the ‘fat-burning zone’. The loss you suffer by believing this myth comes after your cardio session. By going for the low-intensity workouts, you’re cheated of the calories lost in ‘after-burn’ following high intensity exercises. There is also the matter of total calories lost which will always be greater for high-intensity exercises. Save time on workout and your rationale by pushing aside this myth and checking your calorie intake for real and effective loss of fat. Cardio for weight loss will not be effective if you do not do weight training. Cardio is a way of healthy living and should be adopted. But one category of exercises shouldn’t have to bear the burden of all expectations you have from your body. It is ideal for specific purposes and not suitable for others. In an effort to squeeze from it something it never had the ability to provide, do not let it be your kryptonite. Previous articleHow Many Calories Are There in a Rasmalai & Does It Have Any Health Benefits? Next articleWhy Patience Is A Must While Working Out?